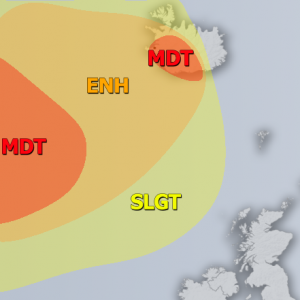 Some isolated severe thunderstorms possible in parts of UK tomorrow afternoon, ahead of a shortwave trough set to pass over the UK early on Thursday. Further thunderstorms are likely on Thursday morning. All models agree on very significant instability tomorrow across S-CNTRL UK. GFS is indicating the highest values with 2000-4500 J/kg SBCAPE. High-resolution models also indicate buildup of moderate to high instability with similar values for CAPE. Morning data tomorrow will show how whether dew points as high as models indicate is actually present. GFS model guidance for SBCAPE over the UK tomorrow. Map: Pivotal Weather. WRF high-resolution model guidance for SBCAPE over the UK tomorrow. Map: Meteociel.fr. A strong 40-50 kt mid-level WSW jet overspreads the region, while backing ESE surface winds produce a strongly sheared environment. Deep layer shear will reach 50-60 kt, while SREH3 values may well reach 200-300 m2/s2. 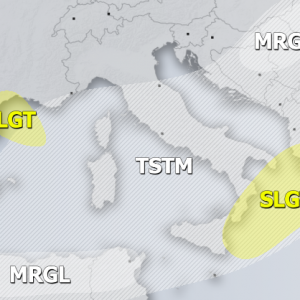 Very strong veering will be present in the lowest 1 km, producing up to 20-25 kt LLS and 200-300 m2/s2 SREH1. Any thunderstorm that does initiate in this environment will have a very good potential of becoming a severe supercell with threats for large to locally very large hail and severe winds. Strong low level shear strongly enhances tornado potential. The first storms of the day are likely to form over northern UK (Scotland, North West, North East) in the late morning, although their severe potential is likely to be very limited due to low instability this far north. Much higher instability will be available further south. Storm initiation further south is still uncertain and it is possible that no storms initiate. Current high-res model guidance suggests limited storm initiation, with some models indicating no initiation at all. The timing of the shortwave trough is critical for storm initiation. WRF high-resolution model guidance for simulated radar reflectivity over the UK tomorrow. Map: Meteociel.fr. GFS model guidance for Lifted Index over the UK tomorrow. Map: Pivotal Weather. GFS model guidance for Supercell Composite Parameter over the UK tomorrow. Map: Pivotal Weather. GFS model guidance for EHI3 over the UK tomorrow. Map: Pivotal Weather. We will be providing further updates on this system tomorrow.